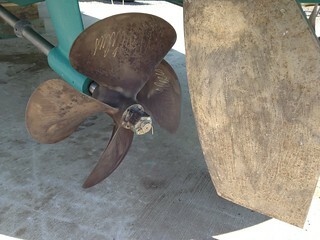 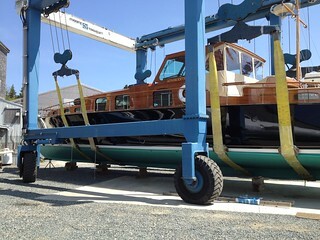 We walk down to Brooklin Boat Yard at Center Harbor all the time to see what’s launching during this busy season. 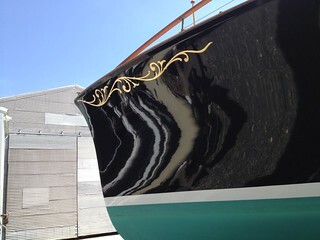 Here are a few photos of Aphrodite, a beautiful boat that launched for the season just the other week. 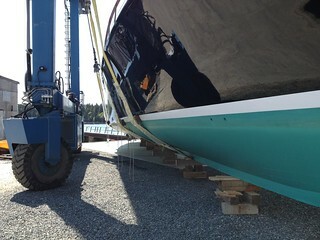 Yes, she’s a motor boat. 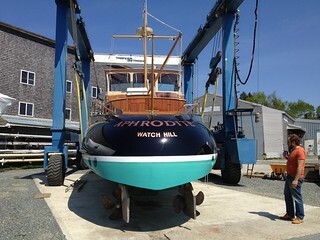 This entry was posted in Other People's Boats, Pretty Things and tagged Aphrodite, Brooklin, classic boats, Maine, motor boat, wooden boat, woodenboat on June 7, 2012 by Anne.